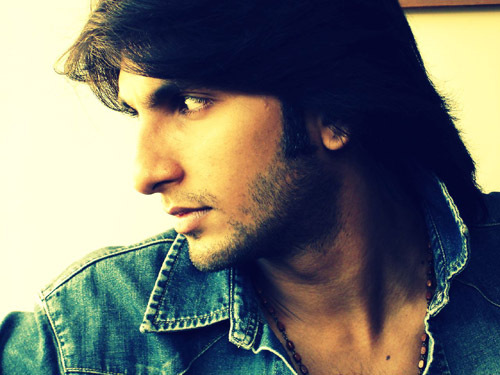 Ranveer Singh birth name Ranveer Singh Bhavnani on 6 July 1985, Indian. Ranveer singh from his child hood he wanted to be an actor. He started participating in the school plays and debates. he studied in junior college at H.R. College of Commerce and Economics in Mumbai, Singh thought that getting break in bollywood is not an easy, as it was mostly people with a filmy background who got the prime opportunities in Bollywood. Ranveer experienced that the idea of acting was "too far-fetched", Singh focussed on his second passion, that of creative writing. He moved to the United States to pursue his Bachelor of Arts degree from Indiana University, Bloomington. Singh worked for a few years in advertising as a copywriter, with agencies like O&M and JWT. Then he started working as an Assistant Director, but left it to pursue acting seriously. He decided to send his portfolio to directors. In 2010 he breaks all barriers and was called for an audition for Yash Raj Films (YRF) by Shanoo Sharma, the head of the casting division for the entertainment company. They informed him that it was for a lead role in their venture titled Band Baaja Baaraat, the film being a romantic comedy set around the world of wedding planning. Singh went to Yash Raj for his audition, and was asked to perform two scenes. Singh added, "I was surprised because I knew Yash Raj does not launch new heroes. But I knew they were legitimate and I knew this would be the biggest and most important audition I would ever be giving." the director Maneesh Sharma needed some more convincing and he was called for a few more auditions over the next two weeks until they were completely convinced in his calibre. Sharma would meet him and try to analyze different facets of his personality by asking him to dance, act out emotional scenes, reading with co-actors, reading with the writer as well as camera tests. After the two weeks of testing, Singh was confirmed for the role of Bittoo, with Anushka Sharma playing the female lead. "My ambition was always to bag a lead role in a film and hence I refrained from doing any ads, TV serials, music videos as I felt that a fresh face always works much better. It was a gamble and I took that gamble telling myself that I will give it my all to bag a lead role". Ranveer denied allegations of his father paying a whopping sum of Rs.10 crores to help him enter the industry. Son of a renowned real estate mogul, Ranveer has learnt it early to deal with such accusations in his Bollywood innings.